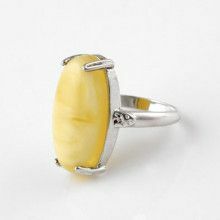 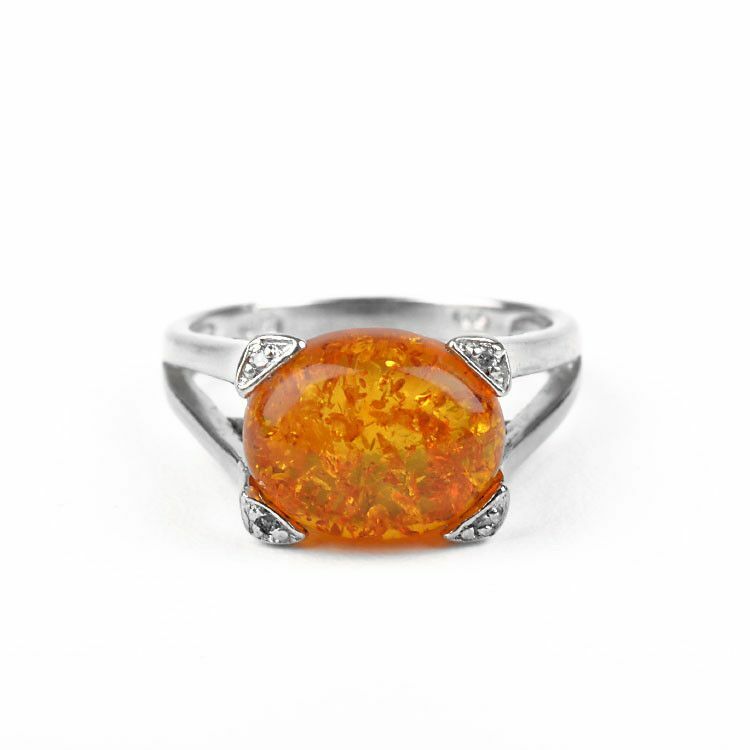 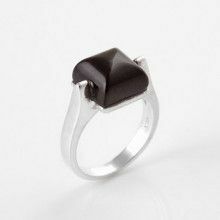 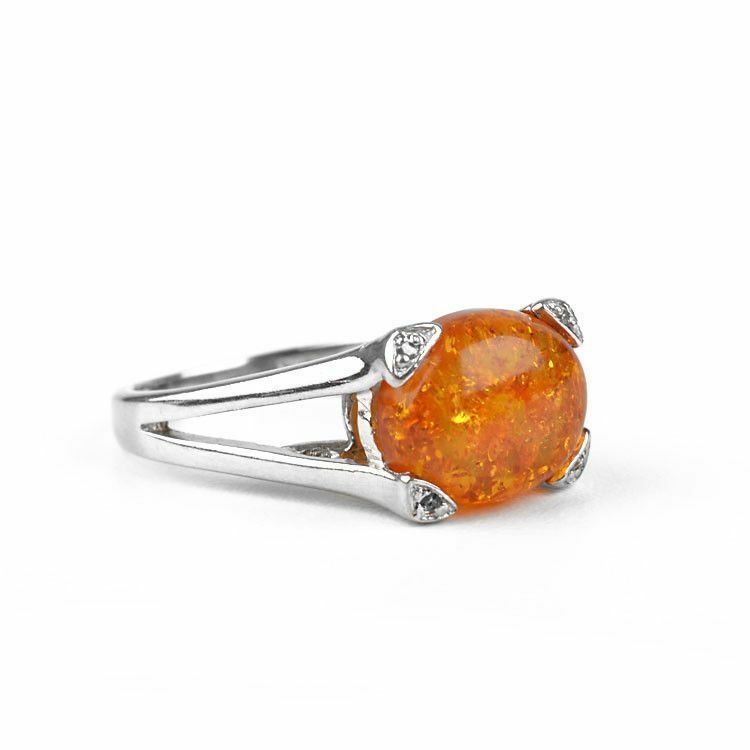 This amber ring is full of class and style! 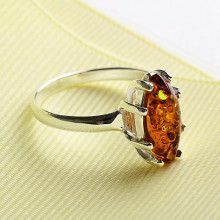 A genuine honey amber stone, about 7/16" x 5/16" in size, is four-prong set in thick sterling silver, accented with tiny crystals on each prong. 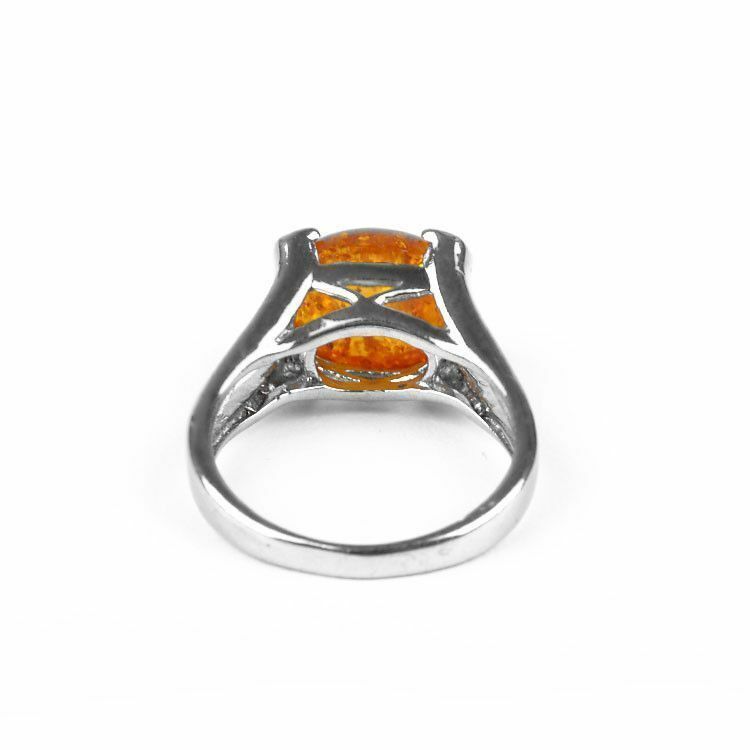 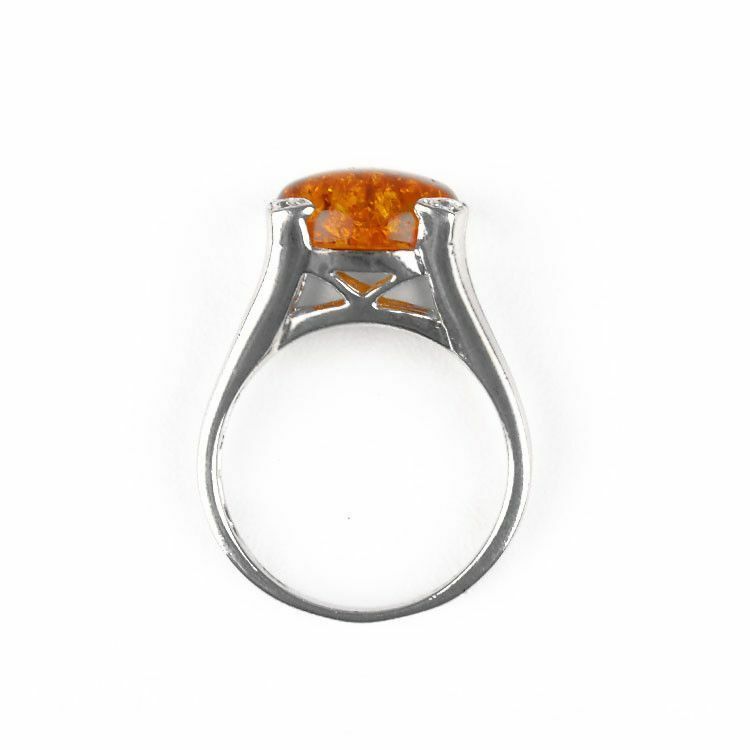 The high setting adds to the glamour of this hand-crafted amber ring. 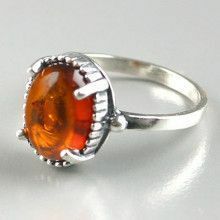 Available in size 6. 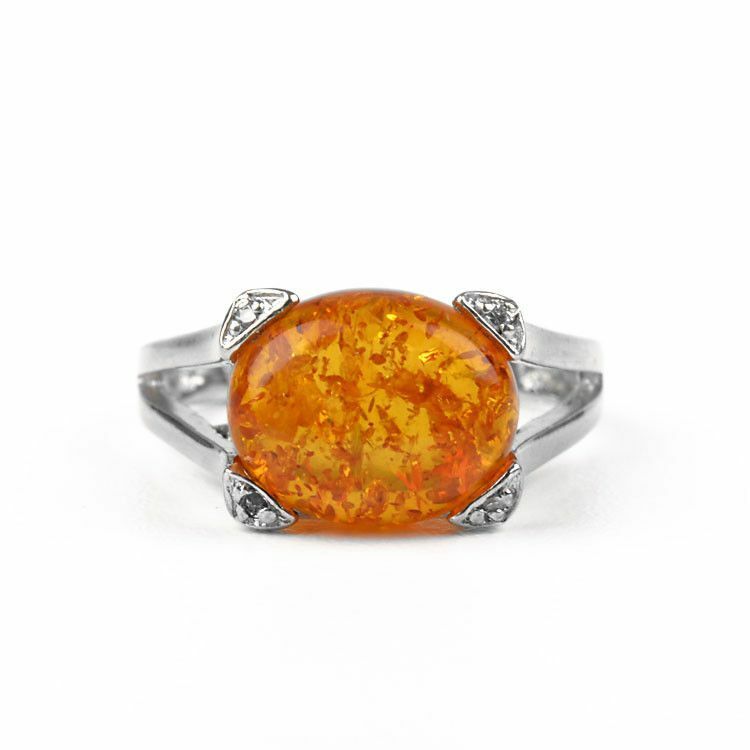 Stone is about 7/16" x 5/16"